San Diego is a great place to choose for your vacation destination as there are so many activities and things to do there. Having a breathtaking view of the ocean, a pretty skyline, the famous San Diego Zoo, and boating, you're spoilt for choice. This book offers superb photographs of this lovely city that show it off in all its glory. A naval base, San Diego is much more than a naval playground - the Spirit of St. Louis, Charles A. Lindbergh's plane, was built here. Author Charlene Baldridge gives us a little history, some naval facts, entertainment ideas, museums, dining, arts and culture, and historical buildings to see. The San Diego Zoo is world famous as is Sea World, the home of Shamu the killer whale. 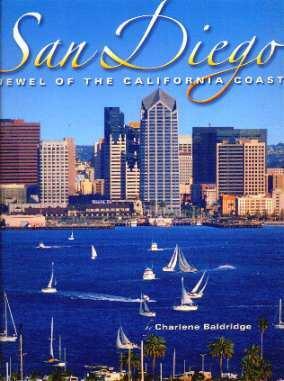 Although not as detailed as a travel guide would be, there is plenty of information to entice any potential visitor to San Diego. There is so much to see and do here and this book gives you a pretty general idea of what you can get up to. This book is one in the Visual Tour series from Northland Publishing. Conclusion - A beautiful memento of this spectacular city.